Intresting in P2P & MANET Research and development, Handle-set embedded system design and programming. To implemente my first test virtual network interface driver--eoudp,which implemente a virtual NIC to transimt specific frames to an remote host with the help of udp,for the purpose to implemente a virtual local area network without any additional hardwares,I have read some books about the linux kernel and the linux network device driver. 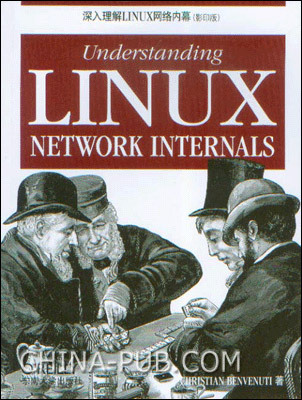 One of the books I have been reading was the 《Understanding Linux Network Internals》,a good book to help you understand the Linux Network with details. I have finished read the chapter One,explained the fundational mechainsms that used in the implemention of linux network,which drive me to recommend the book immediately. The cover of 《Understanding Linux Network Internals》. 1. Much graphics was employed to show the mechanisms that the linux network implements used. 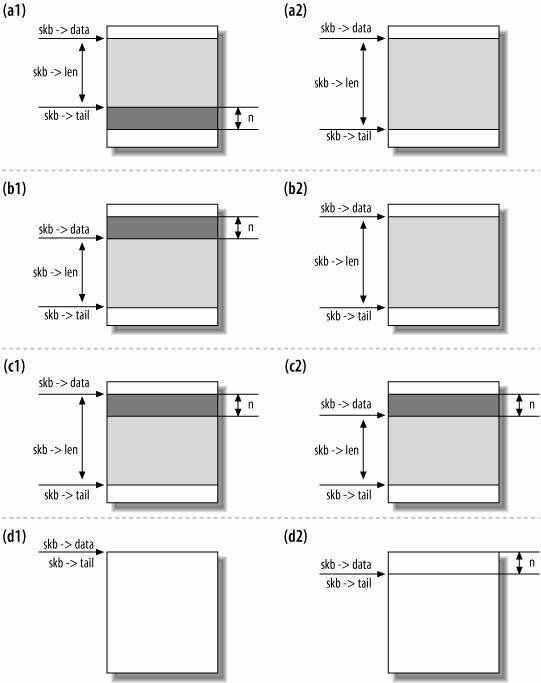 The following graphic is a typically example. To those who want to acquaint with the mechanisms and implement details of the linux network,I recommend you to read the Part I、Part II、Part III、Part V and Part VII due to your interesting. I recommend all of you to read the Part I first and then chose the chapters that you are interested,no consequence reading is necessary. This is my first article to note my experience of linux kernel study,especially the TCP/IP network stack.